NEWAZA techniques demonstrated by Shihan Kanae Hirata. HIRATA Kanae (1922 - 1998) was a Shihan of Kosen Judo, specialist in ground techniques (NEWAZA). Before World War II, people used to say "Tachiwaza of KODOKAN and NEWAZA of KOSEN" because these two schools were seen as references. Unlike Tachiwaza, where the innate talent is very important, the quality of the NEWAZA is proportional to the amount of training spent working these techniques. Once mastered, it allows to face any opponent, regardless of size or weight. 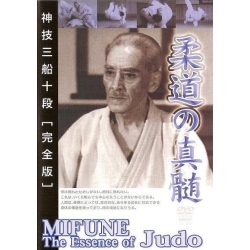 Today, a group of judokas continues the work started by Master HIRATA to perpetuate his legacy.